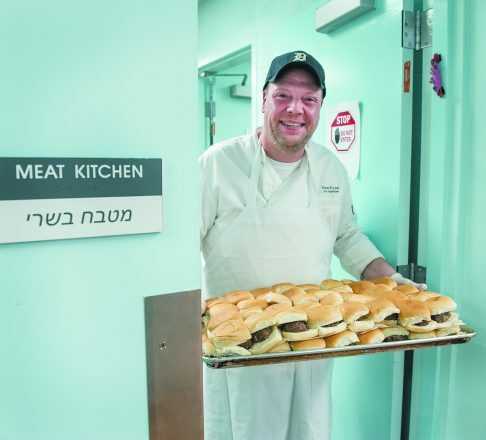 A Hazon Detroit grant helped Hillel’s cafeteria to switch to more humane higher welfare meat. Hazon Detroit grant enables local organizations to make humane food choices. Climate change is arguably THE issue of our time. The looming sense of urgency is inescapable. In trying to “do the right thing,” it’s easy to get overwhelmed and confused on issues like recycling, composting, label reading and food choice. Hazon, the Jewish Lab for Sustainability, founded in 1999, is a nonprofit organization that promotes creating sustainable communities in the Jewish world and beyond. With visionary leadership, led by founder Nigel Savage, Hazon serves, by many accounts, as the Jewish community’s north star regarding environmental issues. 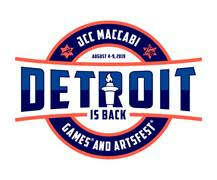 With headquarters in New York City, it operates offices in Boulder, Colo., and Detroit. By recommending small, intentional and humane actions, Hazon is leading the charge for Jewish organizations to re-think the way they eat, what they eat, how humane the food they eat is raised and, most importantly, how their food choices impact the planet. “Our goal is to change people’s thinking, but to do so in a gradual way without pushing the panic button,” said Wren Hack, Detroit Hazon’s new director. Last year, Hazon Detroit received a $25,000 grant from an anonymous family to offset the purchase of higher welfare kosher meat and eggs and make it affordable for local Hazon Seal of Sustainability sites. Most consumers are familiar with the term organic (food grown without the use of pesticides, synthetic fertilizers and without growth hormones or antibiotics for animals that produce meat, poultry, eggs and dairy products). Higher welfare goes a step further and values the animals’ natural behavior, letting them be what they were meant to be, with exposure to sunlight, to range free in pastures (not pens or cages), and to eat naturally in that pasture (grass, hay and legumes, versus grains or corn). Bottom line, the animal lives a humane life. The Hazon Seal of Sustainability is a credential granted to Jewish organizations that have met a basic threshold of sustainability practices. Hazon provides the roadmap for them to become healthier and more sustainable through education, action and advocacy. Metro Detroit has 16 participating sites; five have committed to purchase higher welfare meat and eggs.The past three years, these Hazon sites have been assisted by Brittany Feldman, Hazon Detroit’s manager of sustainability and outdoor engagement. In that time, the sites have improved recycling policies, switched to LED light bulbs, started gardens and began composting. “So, naturally, the next step was to tackle food policies, with the vision to have the Seal sites consider higher welfare food products,” she said. Through research and community outreach, Feldman found Kol Foods of Silver Spring, Md., the country’s only grass-fed, higher welfare kosher meat online store. “Once we received the grant specifically for the purchase of higher welfare meat and eggs, I connected with Kol Foods and learned how they could ship frozen meat in bulk across the country,” Feldman said. 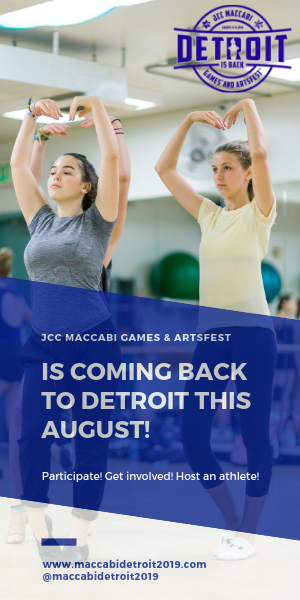 She reached out to Hillel Day School in Farmington Hills and other participating Hazon Seal sites and put them in touch with Kol Foods directly to set up purchasing. 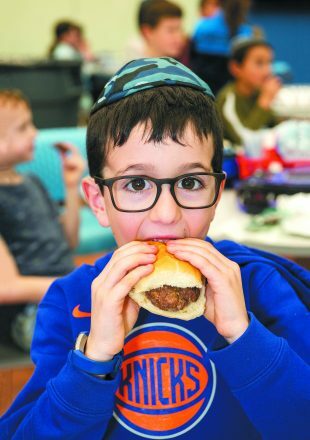 Hillel Day School goes through hundreds of pounds of meat per week, providing breakfast, lunch, weekly packaged Shabbat dinners for students and their families, and catering for outside organizations using Hillel’s facility. Scott Reed, Hillel COO, was interested in giving higher welfare a fair try, so they struck a deal with Kol Foods. “Making the conscious effort to choose higher welfare meat — these are healthy, ethical, kinder Jewish values, and that’s what we are all about,” Reed said. He says parents have been 100 percent supportive, and a meeting is planned with Hazon to see how the Hillel families can be more involved. 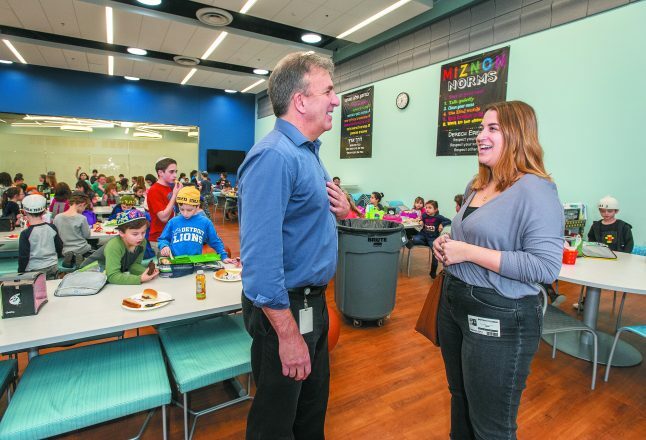 Ilana Stern, a West Bloomfield Hillel mom of three, environmental activist and regional leader of Moms Across America, buys Kol Food products herself through a meat-buying club. “Stern’s meat-buying club has grown with more and more Hillel families,” Reed said. Stern points out that just because something says its kosher, it isn’t if, as the Talmud says, the animal was not treated ethically. Daily trips to the local kosher butcher shop are long gone. In its place, are factory-farmed kosher slaughterhouses. Perhaps not surprisingly, Kol Foods right now faces no competition. So, how do Jews wrestle with the widespread purchase of kosher meat not certified as higher welfare? And why is the way an animal is killed the defining principle as to whether meat is kosher or not, and not how the animal was treated during its lifetime? Where does the concept of cruelty to animals, or tzaar baalei chayim, a core value in Judaism, come into play? Demands for ethical kashrut, he notes, seek a return to treating animals with dignity as God’s creatures and to ensure the cleanliness of [the] meat. At Hillel, for example, the average monthly budget for meat is about $1,700; to buy higher welfare meat, the cost climbs closer to $3,000 monthly. The Hazon grant covers the extra cost each month. Another Hazon Seal site taking advantage of the Hazon grant is Congregation Shir Tikvah in Troy. Executive Director Lorelei Berg says her organization is getting ready to place its first order for higher welfare eggs and chicken. Isaac Agree Downtown Synagogue, Jewish Ferndale and Congregation Shaarey Zedek are also Hazon Seal sites taking advantage of the Hazon grant monies to purchase higher welfare eggs. 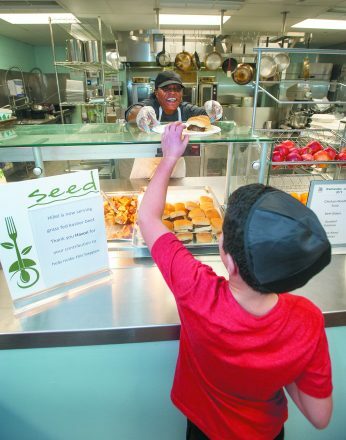 “Shaarey Zedek serves a weekly Shabbat lunch with egg salad and kugel, feeding a minimum of 200-400 congregants every Shabbos,” said Jeri Fishman, congregation president. For details about Hazon, its seal of sustainability credential or higher welfare purchasing, email Brittany Feldman at Brittany.feldman@hazon.org. For a graphic comparing grain-fed and grass-fed meat, go to bit.ly/2FhqVV7. Higher welfare eggs (Alfresco Eggs by Vital Farms) can be purchased at Target and select grocery stores.